Seriously, is his ear on fire ? Ah, that would bruin anyone's day. I hadn't noticed that, but on closer inspection it appears to be an ear tag and ripples on the water. 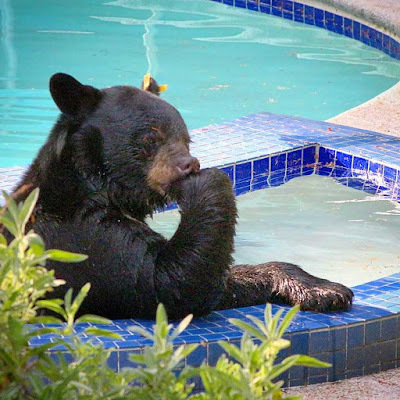 Bear: "Should I sunbathe first or have breakfast first?"